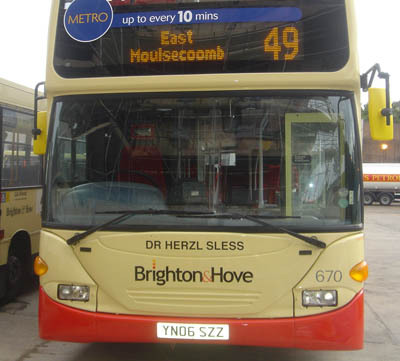 Connections with Brighton and Hove : Dr Herzl Sless was Brighton and Hove Albion’s honorary medical officer for 42 years. He not only looked after the players but also offered advice and counselling to directors when they became stressed. When Albion spent three weeks in California to celebrate promotion to the First Division, Dr Sless was voted man of the tour by the players. 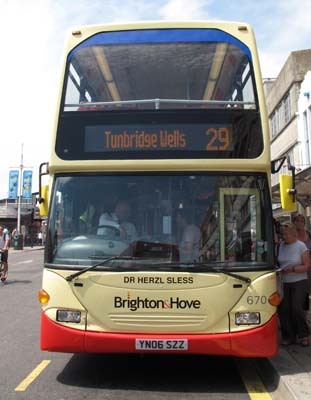 Born in Cork and a graduate of University College and The Rotunda, Dublin, Dr Sless spent 50 years in general practice in Hove. He eventually received the MBE for services to the community. He died just before his 80th birthday in 2002. 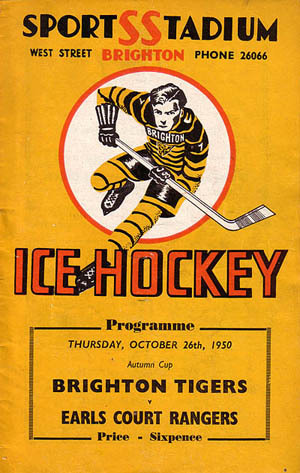 Dr Sless started with the Albion and the Brighton Tigers ice hockey team as a locum to Dr Harry Shepherd who spent three months of the winter out of the country. He served during the reigns of 14 managers until retiring from first team duty in April, 1996 when he received a parting gift from the club. Dr Sless also helped many boxing associations and received awards from them for his work. 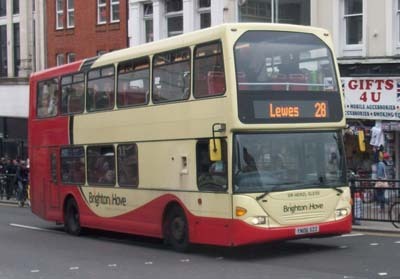 He was also chairman for many years of the Jewish Representative Council and of Hove Synagogue. Dr Sless leaves a widow, four children and 12 grandchildren. 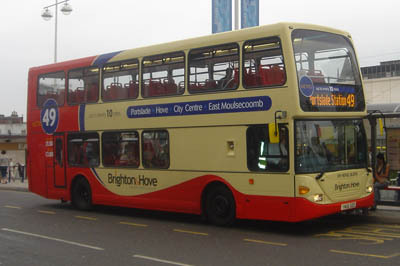 670 Scania Omnidekka - carried name since delivery in May 2006 on Metro 49. 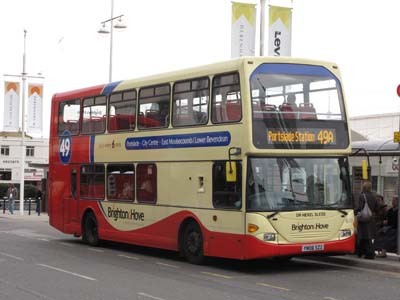 Rebranded as Route 49 in July 2011. 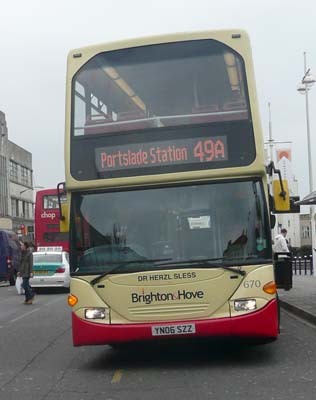 Route 49 branding removed April 2012.